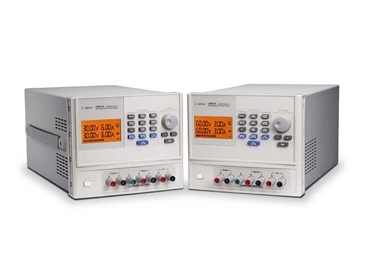 Agilent Technologies introduces the U8030 series of DC power supplies, the triple-output power supplies with front-panel programming for simplified automation setup. Front-panel analogue programming in benchtop or industrial settings saves time and reduces complexity by allowing the user to set and control key output parameters without extensive programming knowledge. The U8030 series DC power supplies are suitable for margin tests, burn-in or reliability tests and general electronics manufacturing. According to EeHuei Sin, vice president and general manager of Agilent's Basic Instruments Division, Agilent combined its years of knowledge and expertise to create the U8030 series of power supplies, which is evidenced by performance advantages such as low noise and good load regulation.